Welcome to Ashcroft, a limited lot, large home site community tucked away quietly off McKinney Rd near the heart of Five Forks. 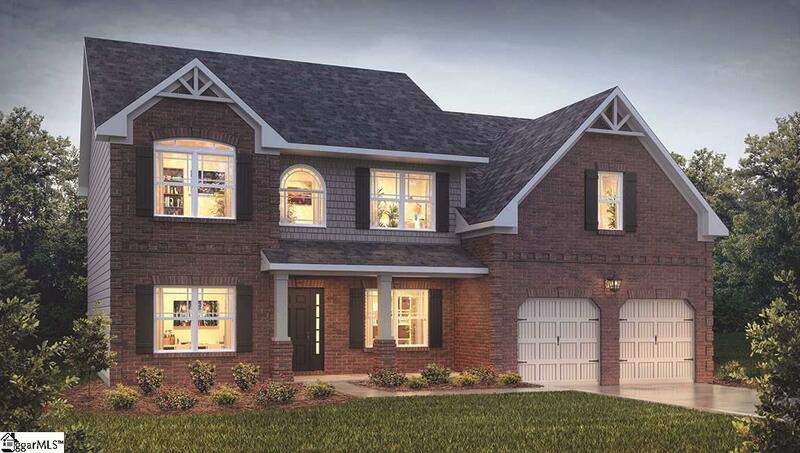 The Ryan is a cozy home featuring 5 bedrooms, 4 baths, an office and huge media room upstairs. As you enter the home you are greeted with a lovely 2 story foyer, to your left is an office with French Doors for privacy, and on the right is the dining room. There is one bedroom and a full bath on the main level as well. Moving to the heart of the home, your living room features a gas log fireplace with stone surround and coffered ceiling. The kitchen has a beautiful light color palate with granite countertops, pantry, double ovens, gas cook top, and breakfast nook. As you make your way upstairs on the stained oak steps you will look to the right when you get to the top and step into the fabulous media room, an incredible and flexible space for anyone to enjoy! There are 2 bedrooms that share a Jack and Jill Bathroom and the third bedroom has a mini ensuite with a private bathroom of it's own. Before you get to the master you will find your walk in laundry room. Finally, the Master Retreat, this space is beautiful with it's vaulted ceiling and openness. The travertine tile surround for the shower and garden tub doesn't disappoint and your large walk in closet. Don't miss out on this incredible home!